Great for a wide variety of uses; home, shop, office, crafts and hobby. Set on workbench, tool cabinet, or shelf. Extra bins will nest inside one another to save space. Bins can be hung on peg board wall. 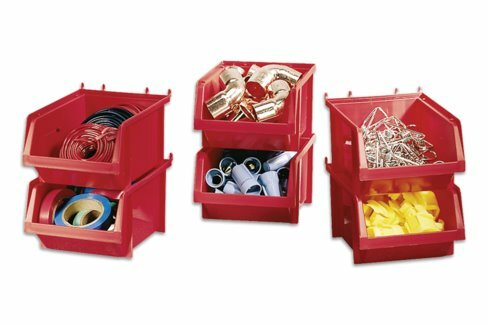 Pack of 6 bins in display carton.